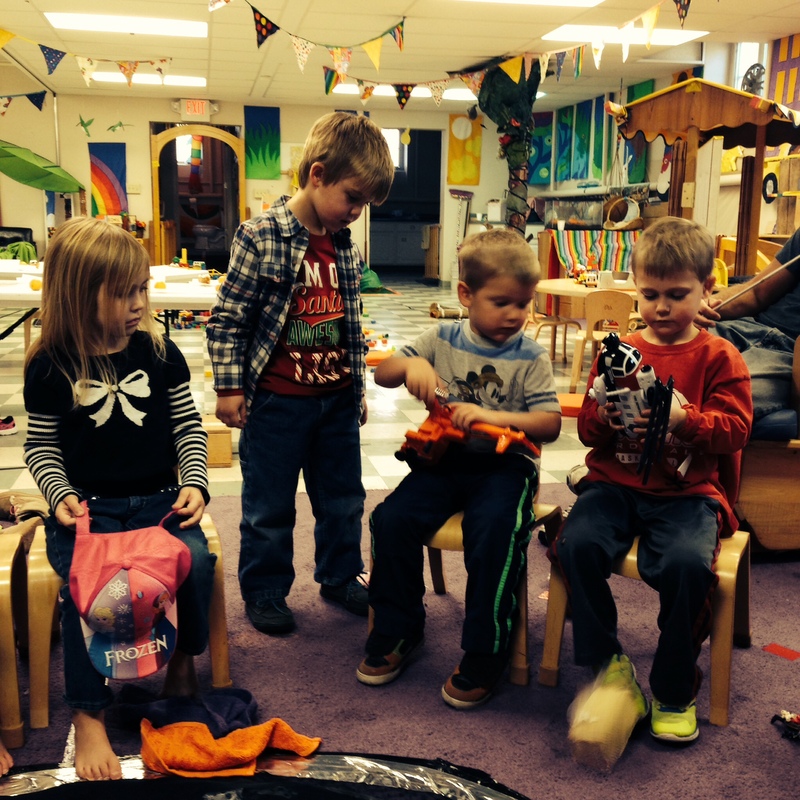 Here are answers to frequently asked questions specifically about New Creation Preschool. 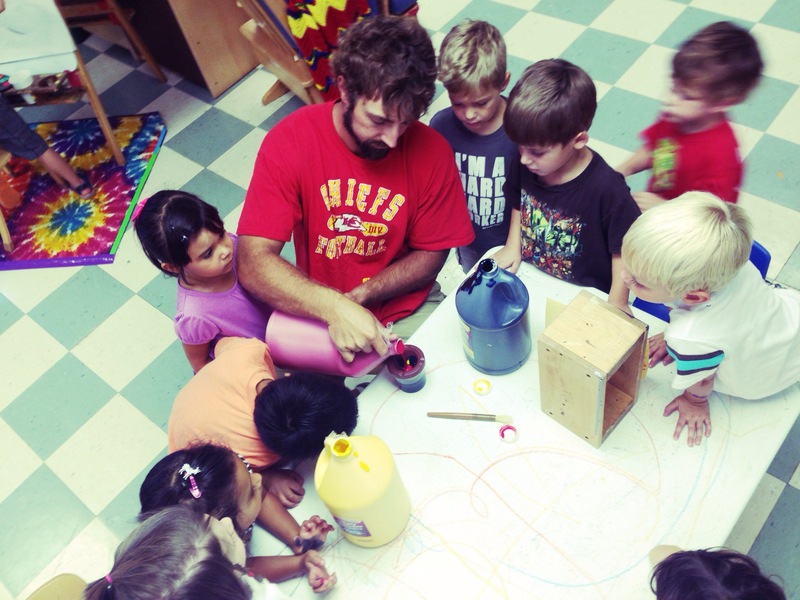 How old does my child need to be to attend New Creation Preschool? We are licensed as a preschool and according to state regulations, children must be at least 30 months of age and not yet in Kindergarten on or before they start at New Creation. No. It is a personal belief of mine that potty training can’t be forced or hurried. Therefore, we welcome children at any stage of their potty training journey. Preschoolers should come with extra supplies (diapers, wipes, pull ups, training pants, clothes, etc). Cloth diapers and training pants are welcomed, but per state regulations they will be bagged and sent home unwashed (same with clothes involved in accidents). What is the schedule for preschool? 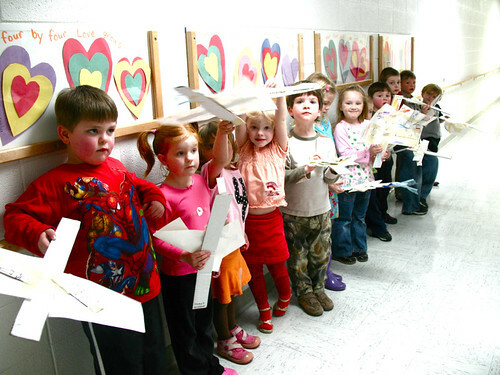 Children attend one, two or three sessions per week. W afternoon can be added for our T/TH morning and afternoon PreK kiddos. Morning session preschoolers arrive between 8:45-9 and get picked up between 11:10-11:15. Afternoon session preschoolers arrive between 11:45-12:00 and get picked up between 2:10-2:15. We take the total number of school days for the year, calculate a total amount and divide tuition into 9 equal payments. These are due on your child’s first school day of the month September-May. 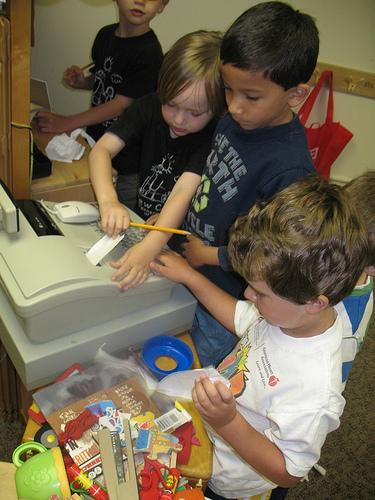 Make checks payable to New Creation and deposit your tuition in the TUITION BOX located in the classroom or have it mailed to New Creation Preschool: 221 Muse, Newton KS 67114 (some families set up automatic bill pay through their banks). You will be sent notification when a tuition payment is overdue. In the event that you have missed 2 tuition payments, you will be contacted by a New Creation Preschool Serving Unit member to set up a Payment Plan. Is there financial aid? Yes. As a non profit ministry of New Creation Fellowship Church, we offer multiple tuition levels based on income and the number of people in your home. We begin the Financial Aid process by following the same guidelines as USD 373 does for Free and Reduced. At New Creation Preschool we also take other financial needs into consideration (medical bills, debt, etc) and will reduce tuition as low as necessary to have your child attend. Please contact Kristin for more information. What should my preschooler bring? Please send a good sized school bag or back-pack every day! Many times your child will have a stack of things to take home. And please remember to label it! An extra set of clothing is required for children under the age of three and not a bad idea for all children! We do Show and Tell every day based on the Letter of the Week, so look around the house or yard for something to bring! “Lovies” and special toys that may help your child transition from home to preschool are welcome. 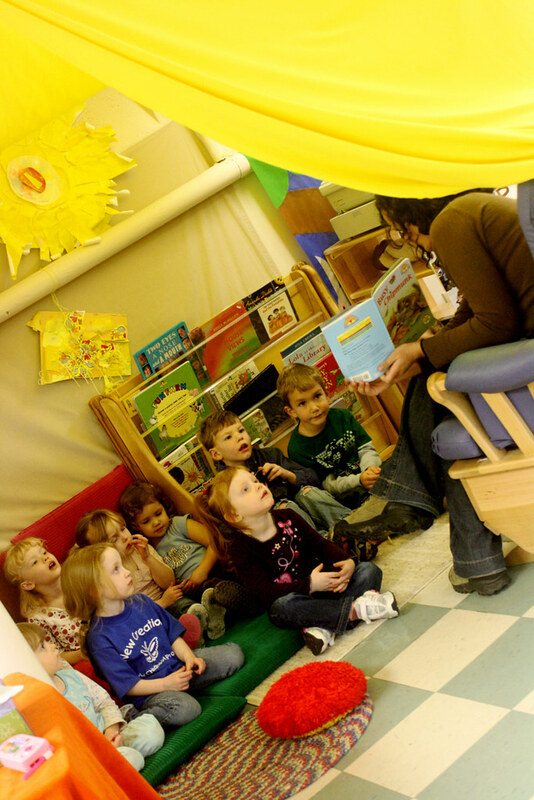 Our preschool plan is that if a child brings something from home and does not want to share it, s/he does not have to and can instead save it in his/her cubby. What should my preschooler wear? Because so many of our projects allow freedom and creative spirits, you are encouraged to dress your child in clothes they can move freely and get messy in! For instance, when painting at the easel during work time, it is not unusual for children to paint their hands as well as the paper! All the products we use are labeled “washable” to aid in clean up, so we can all relax and concentrate on learning! You are responsible for applying sun-block and bug spray before school when you think it’s necessary. As cool weather approaches please dress your child appropriately! Many children enjoy wearing layers so they can control their own body temperature while indoors! We will go out even in the coldest weather (it’s the best time to see your breath!) so keep your child warm! We do allow children to take their shoes and socks off both indoors and out. If you aren’t comfortable with this, please let me know. What kind of experiences will my preschooler have? •Develop large and small muscles through their play activities (we have two indoor slides and balance boards along with a running track!). •Develop language skills through stories, poems, talking, drawing and playing. •Develop math skills through calendar work, counting, building, talking, drawing and playing. •Express themselves through art, music and movement. Kristin works ahead of time to prepare the environment and plan activities. 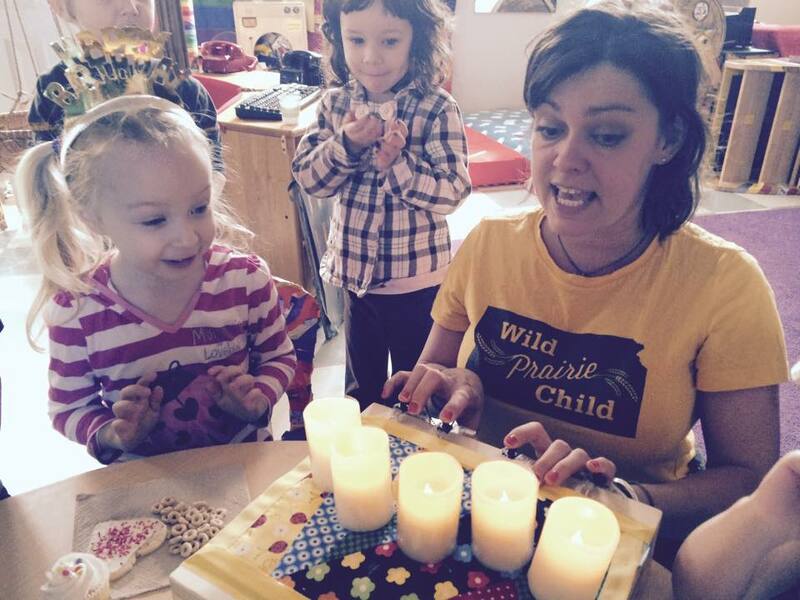 Once the children arrive, the role of the preschool teacher is that of a guide. The teachers will guide the children through lessons and play experiences, encouraging language and thinking skills while fostering good social skills. This will all be done through developmentally appropriate activities. The teachers will help to build the child from the inside out. Yes! If at all possible, you are encouraged to visit during class hours. This gives you the best sense of how our program runs. There is no need to call ahead, just pop in. Plan to visit with Kristin via phone or email at a later time, it is likely there will not be time to do it during class time. Children are welcome to visit as well, set them loose and see what they do!